Find out how to celebrate the carnival in Tenerife, Gran Canaria and the rest of the Canary Islands. Carnival is an important festivity both in Tenerife, Gran Canaria, and all the other Canary islands. In the Canary Islands, as well as in other places, this festivity starts 6 weeks (40 days) before the Holy Easter Sunday, usually on the months of January, February. 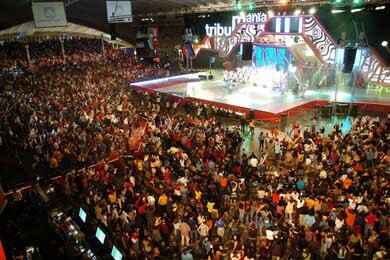 From all the Carnivals in Spain the most famous are, without any doubt, Tenerife’ Carnival and Gran Canaria’s Carnival. On these islands an amazing atmosphere is seen through all the festivities days. The Santa Cruz de Tenerife is maybe, after Rio de Janeiro, the second most important Carnival on the world. This is due to the fact that hundreds of locals and foreigners prepare this festivity throughout the whole year. Thousands of people visit the island to participate on this festivity with its elegant and original long parades with enormous carriages. 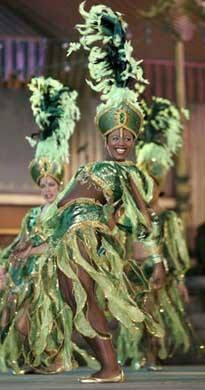 The Carnival in Tenerife is recognized as an international interest festivity. This festivity is also also very important in Gran Canaria where, without any doubt, is the most multitudinous festivity of this island, where you might see thousands of people with their costumes and ready to dance. Inside Gran Canaria the most famous carnivals are in Las Palmas and San Bartolomé de Tirajana, where you shouldn’t miss the extras, the costume competitions and the Burial of the Sardine (when they say goodbye to the carnival for one more year). Above all, you shouldn’t miss the Drag Queen Election Ball, the most awaited moment during the Carnival.